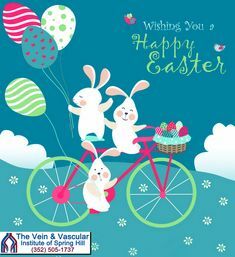 At The Vein & Vascular Institute of Spring Hill, our professional staff’s mission is to treat every patient that comes to our vein clinic with the compassion, respect and care they deserve because they are the reason why we practice vascular surgery and because their health is an important matter to all of us as well. From the moment patients walk in to our office, until the moment they walk out, we want to make it a smooth and delightful experience worth remembering and worth talking about. The best reward we get from our medical profession is to know that when our patients finish their vascular treatments here at The Vein & Vascular Institute, they go home more than 100% satisfied, and feeling that we made a significant difference in their health, quality of life and the way they feel about themselves. We feel proud and very appreciative for the wonderful vascular surgeon reviews and testimonials that our valuable patients share with us about their vascular surgery experience at The Vein & Vascular Institute. As you read the words of the reviews below, you will be amazed at what our patients have to say about their vein treatment experiences and the successful results that they all enjoy. I recommend Dr. Goldbach for arteries or any vein issue...he's easy going, he's fun, he's funny. He jokes, he comes in with a smile even though he might have had a rough morning, he still comes in happy. He's just bubbly. When you meet a doctor and he's friendly, bubbly...somebody you can talk to. He cares about what he does. Dr. Jones did a great job. I was just so amazed how painless it was and how wonderful my legs looked. And because of the job that he did with my legs, I have a new life with my legs now. I'm able to do things that I couldn't do before. I have more stamina. My legs feel great. There's no swelling and they feel fantastic. "I was so shocked and surprised how simple the procedure was and it was relatively painless. The recovery as well, was very short and I immediately started feeling better. I can't even tell you. I might get a little emotional about this, but I immediately felt this relief in my legs. I have to tell you, it changed my life. I feel amazing." I had a very specific varicose vein in my left leg...It was a little bit unsightly so I was always self-conscious of it. I came in for the varicose vein laser surgery...if you see my before and after pictures you will be amazed. I got to take those bandages off and I was shocked because that thing that had traveled with me my whole life, that big varicose vein was gone. "Anyone that has swelling in their legs and the doctors keep telling them it's fluid retention...just stop and think that maybe it is something else. Please come to see Dr. Kerr because he's going to go that one extra step to help you...and I'm very sincere on that. I wish I would have done that sooner because I wouldn't have suffered as long as I did with my legs." "I'm a patient of Dr. Thomas Kerr. The procedures are pain-free. My legs feel better, and they look better and I just feel fantastic. The insurance has paid for everything. I recommend the procedures to women and men who have varicose veins...come in and see Dr. Kerr. He will take care of them for you, with no pain. Every office he has, the staff is very professional, very courteous." "My leg is much better now...You can’t even see scars or anything. I would definitely recommend the Vein and Vascular Institute, especially for Dr. Kerr. He was awesome. He was hands on. I would say he's all strictly business. Takes care of it. Gets the job done. I wouldn't go to anybody else, to be honest with you. I would say he's the best guy to go to, if you want it done right." "I had the laser surgery for the huge veins in the back of my leg, which you will see are amazingly gone. Holly, Dr. Kerr's nurse, did some beautiful work on my spider veins, which were the little tiny ones that we all hate, as women... I would definitely recommend doing this treatment. It was, I would say, the best thing I could have done for myself, feeling confident, at 59, I feel younger than ever." "I could throw a blood clot from the veins and I could die from that, so that's why I came in here, to have that taken care of... Everybody here is fantastic. From the nurses to the receptionist. The whole staff is fantastic... I would highly recommend Dr. Kerr and The Vein and Vascular Institute. Dr. Kerr is Board Certified, and I would definitely recommend them. They changed my life." "I was having leg pain, my muscles in the back of my legs were feeling like a charley-horse, and my leg was swelling. My doctor recommended that I go see a vein and vascular doctor. The vein treatment procedure was easy...covered by insurance...and I was back on my feet 8 hours later. Thanks to Dr. Wright, I feel much better now...it gave me energy...I'm not stressed out from the pain anymore."